Relax in comfort in our beautiful loungers around our pool after a long day sight seeing-shopping-and shows . For your safety Branson's Best Hotel has a SECURITY SYSTEM and Electronic Door Locks, a NO SMOKING POLICY and a NO PET POLICY. We are convenient to Historic Downtown Branson, Branson Landing and Branson Convention Center, the new Sight and Sound Theater, Branson's popular music theaters and tourist attractions, three factory outlet malls, numerous restaurants, Silver Dollar City, Lake Taneycomo, and Table Rock Lake. 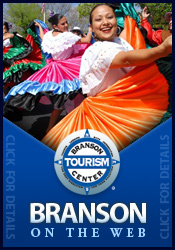 Please make your Branson reservations now at Branson's Best Hotel for a memorable weekend getaway or fun filled vacation. You can do so by internet from this web site or call us at 417.334.2800. We are excited that you are staying at Branson's Best Hotel . Our friendly and accommodating staff is eager to serve you with our legendary five star hospitality.